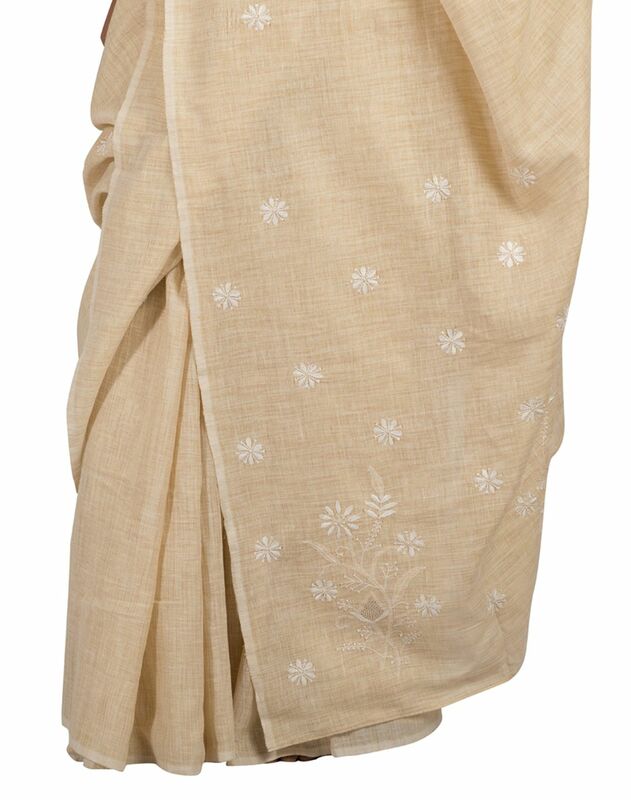 Cream coloured Handwoven Kosa Khadi fabric has been made beautiful with small flowers of Chikankari embroidered on it. The Chikankari seen here is done in Resham Thread that is rare & looks extremely neat & beautiful. The saree is a perfect wear for corporate office as well as dinner dates.